Bill is the President of Buckley Systems, a global leader in high technology manufacturing of precision electromagnets, particle accelerator systems, ion beam physics hardware and high vacuum equipment. The end users for this technology include semiconductor equipment manufacturers, physics research laboratories and the medical industry. Bill has led the design & manufacturing teams at Buckley Systems since the Company’s inception in the 1980’s and has built close relationships with key customers around the globe. 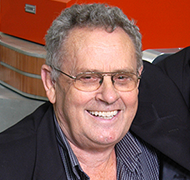 Bill’s achievements include winning the New Zealand Entrepreneur of the Year award in 2011 and being made a Companion of the New Zealand Order of Merit in 2013 for services to technology, business and motorsport. Ted has been designing and commercializing accelerator-based technologies since the early 1980’s. These have included electrostatic tandems designed for up to 3MV for materials modification and accelerator based analytical techniques, as well as extremely high-current oxygen implanters for SIMOX material production. In addition to this world-class technical expertise, he brings decades of experience managing rapid equipment development R&D teams from concept to commercialization including the Applied Materials Quantum-X Implanter. He holds 22 patents in the area of ion implantation and most recently was Vice President of Equipment Engineering at GT Advanced Technologies. Mikko is on the business development team and brings extensive experience working at and investing in life science and healthcare-related technology companies. He has also held a number of Board level positions. Mikko is an engineer by trade with over twenty years of experience in advising corporate, private equity and venture capital clients in mergers, acquisitions and capital market transactions and has a proven ability to guide start-ups to profitable exits. He has a Masters’ degree from the Helsinki University of Technology and a MBA in finance from the Helsinki School of Economics. Chairman and Chief Executive Officer, Kateeva, Inc. 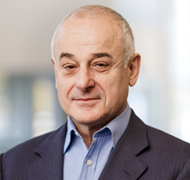 Prior to Kateeva, Alain was a Partner at Crosslink Capital, a San Francisco-based venture capital company where he led the firm’s semiconductor and energy technology investment activities. Before turning to venture capital, Alain developed breakthrough process technologies that kept semiconductor manufacturers on track with Moore’s Law — first as a research scientist at Bell Laboratories, later as Chief Technology Officer at Novellus Systems — now part of Lam Research. As an investor, Alain focused on early-stage science-based hardware companies developing challenging technologies. An engaged Board member, he advised executive teams on strategic growth initiatives, particularly technology roadmap development, product and commercialization strategies, and infrastructure, as well as fund-raising, valuation and exits. Geoff is a world leader in innovative ion implantation. He was President and CEO of Ibis Technology Corporation which was a pioneer in the field of high-current, high-energy ion implantation. Prior to that, Geoff was a founding member of Extrion Corporation (now Applied Materials and formerly Varian Semiconductor) and Nova Associates (now Axcelis Technologies). He continues to provide physics and engineering direction in the design of NT’s accelerator products based on personal experience that spans the entire history of the field. 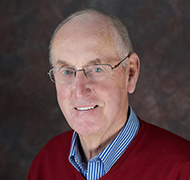 Bill has spent his career in research and development of commercial applications for accelerator-based technologies. His background is in high-current electrostatic accelerators, beam lines, radiation measurement and shielding. Bill is responsible for coordinating Neutron Therapeutic’s research and development program, including setting the technological direction of the nuBeam system. Most recently Bill led the design of the acceleration tube and the solid lithium neutron target on the Hyperion family of accelerators at GT Advanced Technologies. Bill holds a Masters’ degree in mechanical engineering from Cornell University. 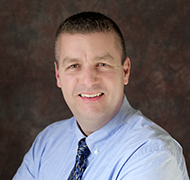 Paul has been working in the electrical and equipment engineering field for 25 years with a focus in ion implantation. 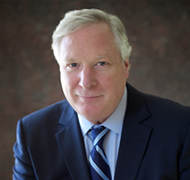 Most recently he served at Vice President of Engineering at GT Advanced Technologies where he successfully managed the Hyperion Technology Group, oversaw the development of a prototype neutron source for the purpose of Boron Neutron Capture Therapy (BNCT) and developed sapphire and silicon carbide exfoliation processes. Noah received his PhD in 2009 from the Department of Nuclear Engineering at the Massachusetts Institute of Technology (MIT) in the field of Applied Plasma Physics. Since 2010, he has been working with proton accelerators, most recently at Twin Creeks Technologies and GT Advanced Technologies with his primary focus in product development and exploring potential applications for the accelerators in various industries ranging from solar cells to commercial electronics and medical applications. He has organized collaborations among a diverse set of partners to advance the prospects of practical application of proton accelerators. 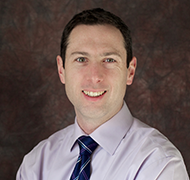 At Neutron Therapeutics, he is responsible for product and business development. 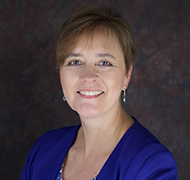 Martha is a senior financial professional with extensive experience designing and building financial planning, analysis and reporting solutions. She has worked in both public and private companies in the Biotechnology, High Tech and Software industries. 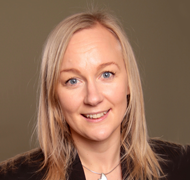 Her proven abilities to build finance teams, implement financial planning, forecasting and budgeting processes and systems are a key asset to Neutron Therapeutics. Most recently, Martha was the Finance Director at LFB-USA, a global company that develops and provides innovative pharmaceutical bioproduct technologies for patients with serious diseases. Prior to that, she was the Finance Director of the LED/Industrial Sapphire division of GT Advanced Technologies. 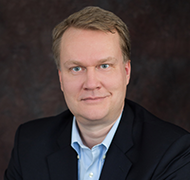 Erkki has been working the healthcare and pharmaceutical industry for nearly 25 years. 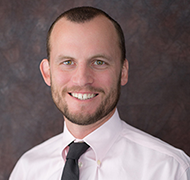 In 2011, he co-founded Tenboron Ltd., a company that engages in the development of new boron carriers and imaging agents for use in boron neutron capture therapy. In 2004, he co-founded Glykos and is currently the Chairman of the Board. Glykos focuses on research and development projects in the areas of cancer antibodies, antibody-drug conjugates (ADC), antibody glycoforms and stem cell research and in 2013, the company was awarded the BioFinland prize and the Millennium Distinction Award. 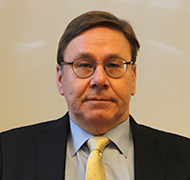 Erkki was also Co-Founder of ContrAl Clinics Ltd. and Contral Pharma Ltd from 1995 to 2002 and served as a Director and Member of the Executive Board of ContrAl Group. In 2002, Contral Pharma was listed on the Helsinki Stock Exchange and changed its’ name to Biotie Therapies. In addition, from 2002 Erkki served as Vice President of Corporate Development and Member of the Executive Board of Biotie Therapies Corp.
Hanna has been working on Boron Neutron Capture Therapy (BNCT) and related modalities over her entire career, starting while a student at the University of Helsinki. She was closely involved in the successful BNCT phase I/II clinical trials that were conducted at Helsinki University Central Hospital, and was the chief medical physicist for that program. Hanna also has experience in extensive simulation and modeling of BNCT neutron sources, including plasma based neutron sources at Lawrence Berkeley National Laboratory and the neutron beam used at the FiR-1 research reactor in Finland for the patient treatments. Most recently Hanna has worked in the development of the world’s leading radiotherapy treatment planning software at Varian Medical Systems. At Neutron Therapeutics, Hanna will oversee the creation and integration of the patient-facing aspects of the neutron therapy suite. Seppo was the Managing Director of the Clinical Research Institute, Helsinki University Central Hospital during the course of BNCT treatments in Helsinki. He organized the scientific program into a clinical service. He also founded and was Chairman of the Board at Boneca Corporation. Seppo and his team demonstrated the efficacy of BNCT in recurrent head and neck cancers, ultimately treating over 200 patients from Europe and Japan. In addition, for two decades he was also administering all clinical trials sponsored by pharmaceutical companies in the university hospital. Seppo will direct the clinical program at Neutron Therapeutics. 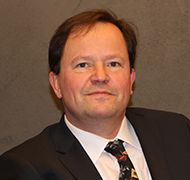 Dr. Joensuu directs research carried out at the Comprehensive Cancer Center Helsinki. This includes clinical phase I to IV studies and translational research, and networking with academic research organizations and pharmaceutical companies. 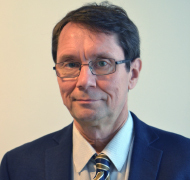 He is a Professor of Oncology and Radiotherapy, University of Helsinki and a Director of the Laboratory of Molecular Medicine, Biomedicum, Helsinki. He has been involved in medical research for over 20 years and has published extensively in major academic journals. Dr. Joensuu received his medical degree and PhD from the University of Turku, Finland. 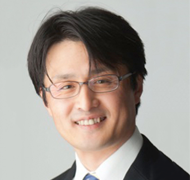 Tetsuya is a neurosurgeon with extensive experience in particle radiation therapy (both proton therapy and BNCT). His expertise includes multi-disciplinary treatment of malignant brain tumors, skull base tumors and pediatric brain tumors, as well as surgery of microvascular decompression. Tetsuya has spent much of his career at the University of Tsukuba, where he obtained both his MD and PhD in medical science. He is now an associate professor in the Faculty of Medicine and chair of the Department of Neurosurgery at the University of Tsukuba, as well as a hospital professor at the University of Tsukuba Hospital. In addition, Tetsuya is a visiting professor in the Faculty of Pharmaceutical Sciences at the Tokyo University of Science.